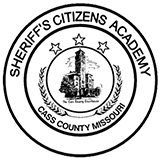 Any currently approved CCW instructors for Cass County residents will remain a valid instructor without meeting the new requirements of 571.111, Sections 5,6, and 7 as outlined below until December 31st, 2013. Effective immediately (10-22-13) all new instructor must comply with the new requirements listed below. Annual Registration Fee of $10. On August 28, 2013, RSMo 571.111 was changed in reference to the required course of training and safety instructor requirements. 571.111, Section 2 changes the firing exercise from 50(fifty) rounds from each handgun to 20(twenty) rounds from each handgun. 571.111, Section 6 requires "Any firearms safety instructor qualified under subsection 5 of this section may submit a copy of a training instructor certificate, course outline bearing notarized signature of instructor, and recent photograph of his or herself to the "Sheriff of the county in which he or she resides. 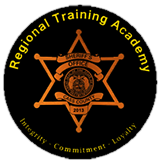 Each Sheriff shall collect an annual registration fee of ten dollars from each qualified instructor who chooses to submit such information and shall retain a database of qualified instructors. This information shall be a closed record except for access by any Sheriff." 571.111, Section 7 adds that any instructor in "â€¦violation of the provisions of this section shall result in the person being prohibited from instructing concealed carry permit classes and issuing certificates." 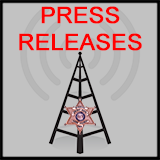 in addition to being charged with a Class C misdemeanor.